Cruise Guru is committed to our client’s privacy and security and to taking steps designed to secure your personal and financial information. We believe your private details should be kept just that and when you share personal information with us, we will make all reasonable endeavours to keep your details secure and private. Cruise Guru understands that privacy is important to you and wants your experience when dealing with us to be as enjoyable and safe as possible. This policy describes who Cruise Guru is and how it handles your personal information generally as well as when you use our website. Personal information is information or an opinion about an identified individual or an individual who is reasonably identifiable. Generally Cruise Guru does not collect sensitive information about you such as details of your race, political beliefs, religion or health. However depending on the products and service you ask us to provide, we maybe required to collect some sensitive information when we are providing you with specialised services (such as access requirements for a disability). We will ask for a broad range of personal information which is necessary for us to provide you with our services. The type of personal information we ask for will depend on which of the travel products with Cruise Guru you book on and the type of product or service you choose. Our websites rely on “cookies” to provide a number of services to you. A cookie is a piece of data that a website sends to your browser and which is then stored on your computer or other internet enabled device. Cookies are generally one of two types, a session cookie or a persistent cookie. A session cookie is a temporary cookie that is placed on the device and remains until you leave one of our websites. A persistent cookie will remain on your device for a period of time or duration specified in the cookie despite you leaving our websites. – identify you and provide you with our products and services including notifying you about new products, services and promotions from time to time. – get a better understanding of you, your needs, your behaviours and how you interact with us, so we can engage in product and service research, development and business strategy including managing the delivery of our services and products via the ways we communicate with you. For example, we will disclose your personal information to third party service providers so that they can provide the contracted services to Cruise Guru such as information technology support or programming, hosting services, telephony services, mailing or sending of documentation to customers digitally or otherwise. 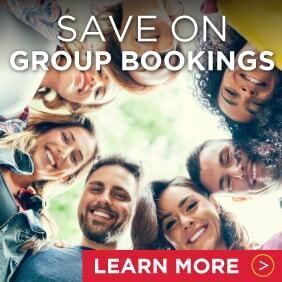 As a travel agent, Cruise Guru offers products and services on behalf of a number of other providers including but not limited to cruise lines and insurance companies. Cruise Guru maybe required to disclose your Personal Information to these providers to enable them to provide you with their services and to assist in making your experience a satisfying one. As these providers require this Personal Information when making your booking, if it is not provided we will not be able to finalise your booking. Cruise Guru has a large range of travel services. Marketing is an important part of our business. 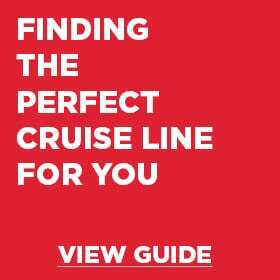 We want to collect, use and disclose your personal information to keep you up to date with the range of products and services available from Cruise Guru and which we think may be of interest to you. We use a wide variety of marketing strategies including mail, sms, telephone and other internet based marketing including targeted online advertising and online behavioural marketing. Third party marketing service providers may combine the personal information we disclose to them with information they already hold about you, in order to serve you with more relevant advertising about our products and services. As detailed in “Ways we collect your personal information” section there are a range of people and organisations (‘parties‘) to whom we disclose your personal information and collect personal information from – that are not you. These may be parties related to Cruise Guru or third parties. The particular party will depend on which company or brand in Cruise Guru you do business with and what product or service you receive. – any other organisation or person where you have asked them to provide your personal information to us or asked us to obtain personal information from them, (e.g. your parent or group organiser). We will disclose all kinds of personal information overseas but only to the extent it is necessary to perform our functions and services. In order to engage in our business activities and functions we will disclose your personal information to and collect your personal information from parties in a number of countries. Please view here to see a list of countries in which those parties are likely to be located – United States of America, European Economic Area, United Kingdom, Japan, Philippines, India, Thailand, Fiji and New Zealand. We will need to from time to time disclose your personal information to and collect your personal information from other countries not on this list. This will be on an adhoc or case by case basis and for the purposes for which we collected your personal information. – in hard copy or paper files. These storage mechanisms may be managed in a number of ways. They may be managed or administered internally by Cruise Guru and may be held locally in Australia. Or they could be managed by a third party storage provider with whom Cruise Guru has a contractual relationship and be either managed locally and/or overseas. We maintain industry standard technology and procedures in respect of our information management and provision of online services. Cruise Guru has an ongoing program of review and enhancement of its security measures. The reviews and updates address such matters as security and information management policies, processes and procedures, and technology reviews such as software, virus protection and fire wall settings. Cruise Guru’s systems and information technology infrastructure are regularly audited both by internal and external experts. E-mail transmissions to Cruise Guru, are not necessarily secure. If you have any concern about the security of the contents of your e-mail or any other transaction over the Internet then you should consider contacting us by other means. Cruise Guru does however employ strong encryption techniques and the use of firewalls similar to financial institutions and internet transaction systems globally. 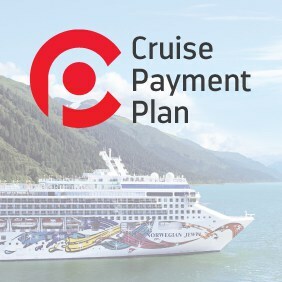 If you make a transaction involving the submission of personal information over the Internet to Cruise Guru using one of our online forms then the Cruise Guru employs that encryption technology. Once Cruise Guru has received your personal information, it is stored and protected by a range of security controls, including firewalls, user identification requirements and audit trails. Cruise Guru trains its employees and representatives in their privacy obligations, applies confidentiality obligations and provides authorised persons with user identifiers, passwords or other access codes to control access to your personal information. You have the right to request access to personal information we hold about you, to object to its use and to request for its restriction or deletion. We may be able to deny access to some or all of your personal information in specified circumstances. We will provide reasons for any refusal in writing. If you would like to make requests regarding the personal information we hold about you please contact us by using the relevant contact in the Cruise Guru Privacy Contact Information details, which can be found below as we may be able to provide you this information within our normal business processes. If not, the staff member will be able to commence the privacy access request process for you which may require you to complete a privacy access request form. These requests may incur a fee and you will be advised of an estimated fee and the payment options at the time of written acknowledgement. This is usually provided to you within 5 business days. We rely on the accuracy of the personal information we hold about you to provide our products and services to you. You have the right to request us to correct any inaccurate, out-of-date, incomplete, irrelevant or misleading personal information. We will take such steps that are reasonable in the circumstances with regard to the purpose for which your personal information is held to make a correction. We may refuse to correct your personal information and will provide reasons for refusal in writing. If we refuse to correct your personal information you have the right to associate with the information a statement that the information is inaccurate, out-of-date, incomplete, irrelevant or misleading. We will take such steps that are reasonable in the circumstances to associate that statement with all records containing the relevant information. 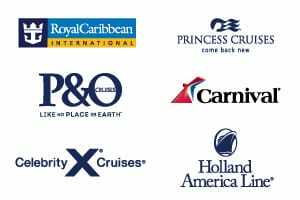 You can contact us to request the correction to the personal information we hold about you by using the relevant Access or Correction contact in the Cruise Guru Privacy Contact Information table below. If you do not want to receive email or posted offers from Cruise Guru simply follow the instructions for “un-subscribing” included as part of Cruise Guru’s regular mail and email offers your name will be removed from the mailing list. Alternatively, please let us know by sending an email message to privacy@cruiseguru.com.au. If you would like to make a complaint, please let us know by contacting us. A response is usually provided to you within 5 business days by our privacy officer. You can contact us by using the relevant Complaints contact in the Cruise Guru Privacy Contact Information below. If you are not satisfied with the outcome of the business review you can request the complaint be referred to the Senior Management Team for review or you can contact them directly. Should additional information be required from you, we will contact you to discuss. The Senior Management Team will usually contact you with a decision within 25 business days of receiving your complaint. You can contact the Senior Management team by using the relevant contact in the Cruise Guru Privacy Contact Information below.